They may appear to be in perfect harmony, but when they stop singing, the young men at Charles R. Drew Prep School for Boys are far from in sync with one another. In the Broadway bow of Tarell Alvin McCraney’s “Choir Boy,” which premiered off Broadway at Manhattan Theatre Club in 2013, boys are molded to be “strong, ethical black men,” so tension erupts when Headmaster Marrow chooses Pharus Jonathan Young, a gay student, to lead the school’s choir of strapping, straight men. Shunned by everyone but his roommate, it isn’t long before Pharus’ rival, Bobby Marrow, gets the rest of the choir boys to turn against him. When things get out of control, the headmaster recruits formerly retired professor Mr. Pendleton to teach a course in “creative thinking” and serve as the choir’s faculty advisor. Directed by Tripp Cullman, the play, which features gospel music, is a story of a young man trying to find his voice when those around him would rather he remain silent. Though McCraney is an accomplished and acclaimed playwright, “Choir Boy” marks his Broadway debut. Actors Jeremy Pope, Chuck Cooper and Austin Pendleton return to the roles of Pharus, Headmaster Marrow and Mr. Pendleton, respectively, in “Choir Boy.” All thress actors were in the original Off-Broadway production in 2013. Recommended for 12+ for adult themes and language. Children under the age of 4 are not permitted in the theatre. Every performance day, on a first-come, first-served basis, a limited number of $35 Rush tickets for "Choir Boy" on Broadway will be made available at 10am. To unlock this feature, Manhattan Theatre Club simply requests that you spread the word on social media through the TodayTix app. Company may offer programs whereby the Company would make available certain features of the Services when you share information about the Services through an SNS or click on the “Unlock without sharing” button in the Application. 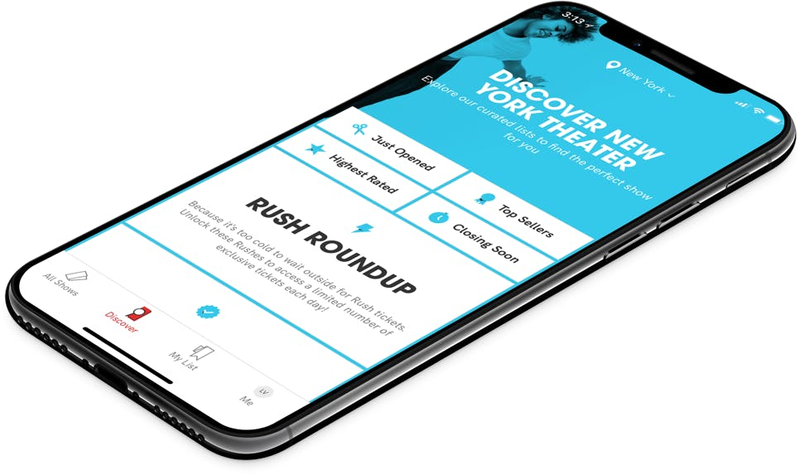 When you are considering purchasing a ticket for a specific show or after you purchase a ticket, if you select the “Share” button in the Application, Company will make available to you a personalized link to a Digital Property with text stating, for example, “Check out 'Choir Boy' on TodayTix! I’m thinking of going…” or something similar, which you may choose to share with your friends via SNS. Once you have shared the personalized link through an SNS using the Application or selected the “Unlock without sharing” button in the Application, Company will make available to you the RUSH feature, which will provide you with otherwise unavailable offers for tickets to live events occurring in the next week. The opportunity to take advantage of these offers is only available to users who share a personalized link to an SNS through the Application or select the “Unlock without sharing” button in the Application. There will be no Rush tickets offered on January 8th, 2019.